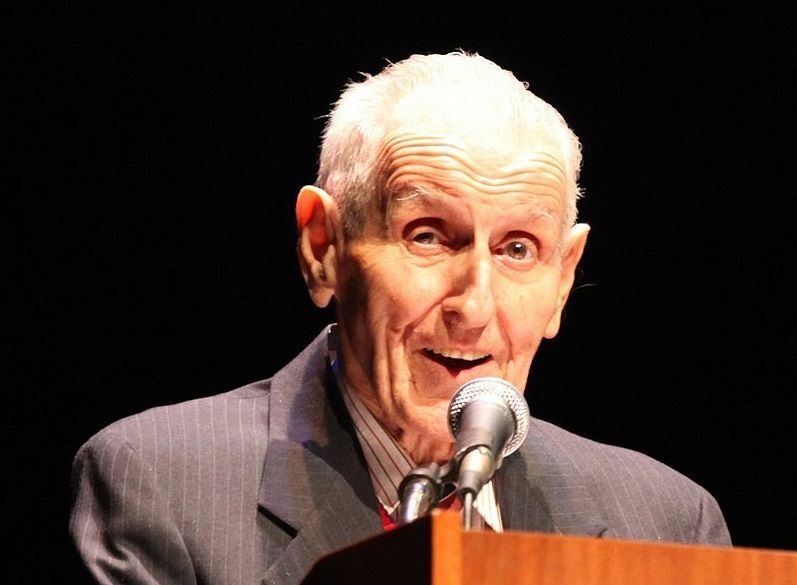 Jack Kevorkian, sometimes referred to as “Dr. Death,” is known as a pioneer in the physician-assisted suicide movement. He was convicted of second-degree murder and served eight years of a 10-to-25-year prison sentence. He was released on parole on June 1, 2007, on the condition he would not offer advice nor participate nor be present in the act of any type of suicide involving euthanasia to any other person; as well as neither promote nor talk about the procedure of assisted suicide. Image source.